SME Strategies is made up of experienced professionals with specialisms in business consulting, start-ups, corporate finance, accounting and mentoring. 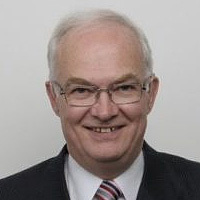 It was co-founded by David Eaton who runs it with Sean Hackemann and John Eaton to bring to SMEs and individuals the same excellent hands-on support that large companies take for granted but in a cost effective way. Using our skills as chartered accountants, finance directors, business owners & innovators we identify the issues facing dynamic SMEs and their owners and work with them to realise their vision. We are passionate about helping you achieve your business and personal goals and overcome obstacles along the way. We believe in long-term relationships and drawing on the right expertise to help you achieve your potential. No one has all the answers which is why we draw on a range of skill sets to meet your needs. Our clients trust us as they see the genuine concern we bring along with our commitment to see them develop. We might say uncomfortable things occasionally but our clients know we are committed to their wellbeing. 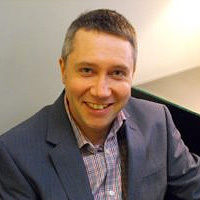 David is a Chartered Accountant with a passion to see businesses and their staff and management people thrive. 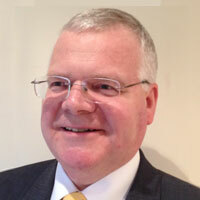 John has over 40 years commercial experience as a Chartered Accountant. Sean has been a Chartered Accountant for over 10 years. In 2015 he founded SME Web Accountants Ltd (SWA). Our team includes our full time Members along with our Affiliates who are specialists bringing specific expertise. We listen to thought leaders and engage with senior players across sectors and in government to realise our vision to be leading professionals actively supporting SMEs and their owners/leaders. We are committed to helping our clients take advantage of the opportunities that Brexit brings and mitigate the risks that come with it. Our projects could be a growth strategy or preparing a business plan, cash forecasts or management accounts, a tricky HR issue, cost controls, marketing campaign, branding advice, coaching a business owner or key member of staff, change management, conflict resolution, building a team, preparing a business for sale, succession planning, health & safety, working with KPIs, strategic development using tools offering innovative options/solutions, management reporting, turnaround and succession planning, professional FD (finance director) support to SMEs who could not afford a full-time experienced FD and one-off assignments – and many others. The one thing we can say about each of our clients is that our work for them changed from the initial brief once we got to know them and together identified their real needs. One of the team will lead the initial conversation with the client to identify and then shape the brief and we then draw on appropriate qualified specialists for delivery of what you need.